T-Shirt will ship separate from other items and is not eligible for free shipping or coupons. See below for more information. 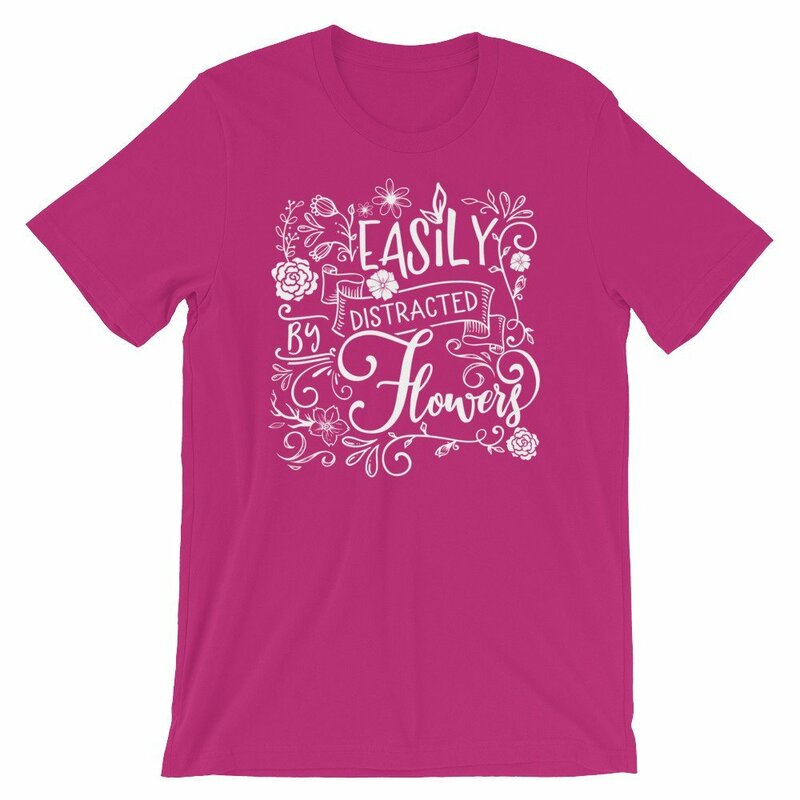 Michey designed this shirt to bring you what she likes to call “Maximum Distraction”! Its soft and not at all see-through, with the right amount of stretch. All apparel and printed merchandise ships separately (along with separate shipping charges) direct from the t-shirt fairy. Note that any order that contains a t-shirt is not eligible for free shipping or coupons. If you also wish to purchase greenery or florals, please place a second order just for those items to make sure you can cash in on a free shipping promotion or a coupon. Please allow up to 1 week for your shirt to be printed and shipped, then allow extra time for it to be delivered to you.